Put "in the pines' in the memo section of your check. Thank you! Our Director is Jeff Wroble. Jeff is a wonderful teacher across the street at Ridgeview High and is greatly appreciative of being part of the Garden. We are so excited to have him. NEEDED TO BE FILLED BELOW! We have a new baby boy coming soon. Jeff Wroble, Denise Mc Neil & Garrett DeBerry holding urn they just placed a baby in. Janice McCollester and Gary Lapee showing us the area where the children will rest in Skyway Memorial Park in Magalia. Please stop by and visit Janice and enjoy the childrens view of this amazing scenery. Sadly Gary has been taken ill and had to resign his postion. Please keep him in your prayers! Thank you to Sheriff Coroner Lt. Al Smith for his trust and saying 'YES"! Please log onto our website and hit the volunteer tab for a discription of all the positions below. See you in the Garden! Whether We have no babies in this Garden or we could have many babies, this will be a resting place waiting if they need us and a place to go to find peace for all the children resting in Garden of Innocence. You don't have to volunteer to enjoy the Garden. Come to the service's to support the babies and help us celebrate that they were once here. July 13th, 2017: We had a meeting to talk about who is left that will be running this garden. Jeff Wroble, Denise McNeil and Garrett Deberry attended. It was decided that Jeff would take over as Director and he is going to try to put a program together at Ridgeview High School to get the students involved in running this Garden. The impact it will have on the children will be amazing and we all were excited to include the students in this Garden. Jeff is a remarkable teacher and will be a great asset to the Garden. We will still be filling positions for adults to take an active part in overseeing the students and running the Garden. Our next service is planned for October when the students are back in session. Elissa was invited to speak at the Ridgeview High School and it was amazing. These kids all have issues that have interrupted their lives but were so interested in the babies and the garden. We had an amazing audience as their teacher Gary Wroble had serveral other classes come in to hear the Garden story. Many of these kids have home problems, drugs and a variety of things going on in their life. Four of the students have had children and their road to adulthood has been a rough one. But the common thread going through all of them is they have huge hearts and really just need someone to listen. It was amazing meeting them. We walked across the street to show them where the Garden will be and tried to make them understand how important they are, how they are in control of their destiny. Our children didn't get that choice. They are going to make this garden their own and get involved in the care, maintenance as well as helping with the services. Many said they will be at Saturdays service, so we are very excited to have all of them there. We had a great meet & greet in the clubhouse of Sherwood Forest Mobile Home Park. About 15 wonderful people showed up to hear the story of Garden of Innocence and were anxious to help out in Saturdays service. We will be having our first service and dedication of the Garden on Saturday August 20th at ten in the morning at Skyway Memorial Park. Elissa may be running a bit late as she is flying in at 3:30, but will do her best to be there on time. In the meantime, meet each other and share some pizza. We will be learning what the Garden is all about, how it is run and what we need to prepare for our first service as well as find volunteers to help care for the children. Please join us. If you can't come, please come to the service on Saturday to help us send home these two little babies with the love and dignity they deserve. July 25, 2016: We have two babies coming to this wonderful Garden. Please mark your calendar for Saturday August 20th at ten in the morning. Also met Jan McCollester, co-owner of Skyway Memorial Park. She showed Elissa their plan on where they want to place the children in the cemetery with a wonderful view of Sawmill Mountain. Its going to be beautiful. January 20, 2016: I spoke to a wonderful lady named Jan McCollester, co-owner of Skyway Memorial Park, who already knew about Garden of Innocence and said that her daughter had gone to the cemetery in Sacramento and cleaned the stones and placed flowers there. She said they would absolutely be interested in helping us. She would need to speak with her partners and I was to call her back in a few days. When I did, she said they are willing to give us room for 50 cremains in their cemetery. I immediately called Sheriff Coroner Al Smith and told him that we finally had a place for a Garden and he was thrilled. He said that there was a new coroner now, Officer Dennis Cooley, but he was going down the hall right now to tell him all about us. Thank you Officer Smith for your trust in us! August 21, 2015: While I was in the area at the end of 2014, I traveled to Paradise to see what was up there as I thought Garden of Innocence Paradise would be a wonderful name for a Garden. I went to a beautiful cemetery there and took a lot of really nice pictures as the Dogwood was in flower and it was just a serene place. I send them a letter after many calls were not returned and finally in January 2016, spoke with a lady, who listened to my story and thought it would be wonderful and said she would get in touch with me after their board meeting. They decided, after speaking to Oroville Cemetery District, that one of the reasons they couldn't let us have a space in their cemetery was because it was discrimination. No other person other then an abandoned child could be buried there. Seems to me that if you have a baby section, no adult could be buried there, thats discrimination. If you have a Jewish section, you would steer a Baptist to another area, thats discrimination. She said that she had not thought of it that way and would present it to her board again but I might call Skyway Memorial Park next door in the meantime. 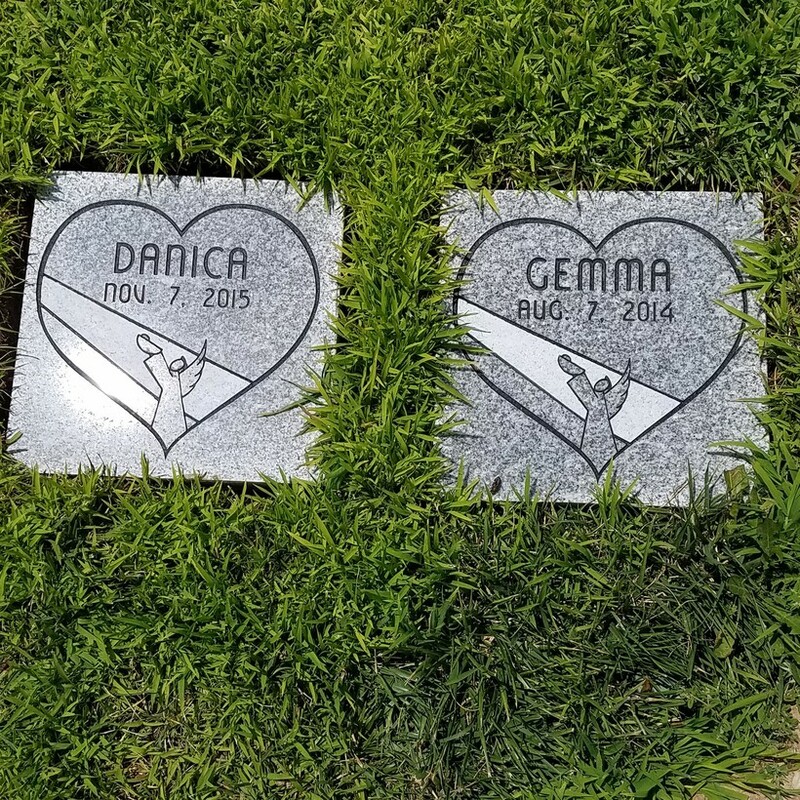 2014: We contacted a cemetery in Oroville Cemetery District and told them what we were hoping to build in their area and the manager of the cemetery was very interested, but after presenting it to her board, they decided that they could not help us at this time. Took some wonderful pictures from their upper area, it would have been a beautiful spot. who wholeheartedly accepted a Garden of Innocence in his county.